The Panthers made a roster move Tuesday, dumping DL Louis Lenoard, who was traded to the Panthers for a 6th round pick last year. 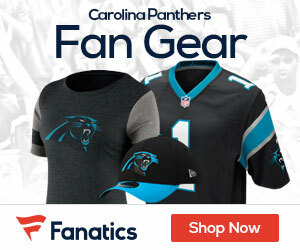 Last year, amid a rash of injuries to their defensive tackles, the Panthers swung a deal for Louis Leonard, sending a sixth-round pick to the Browns for the interior defensive lineman. The Panthers have now decided to cut him loose, according to Steve Reed of CarolinaGrowl.com. Leonard landed on injured reserve early last year, and he struggled through the offseason with ankle and knee injuries. He missed the Week Two loss to the Bucs with an elbow injury.